Samsung is all set to launch its upcoming flagships — the Galaxy S10e, Galaxy S10, and Galaxy S10+ on February 20th at its Unpacked Event. Over the past few weeks, the flagship smartphones have been subjected to a ton of leaks and rumours. 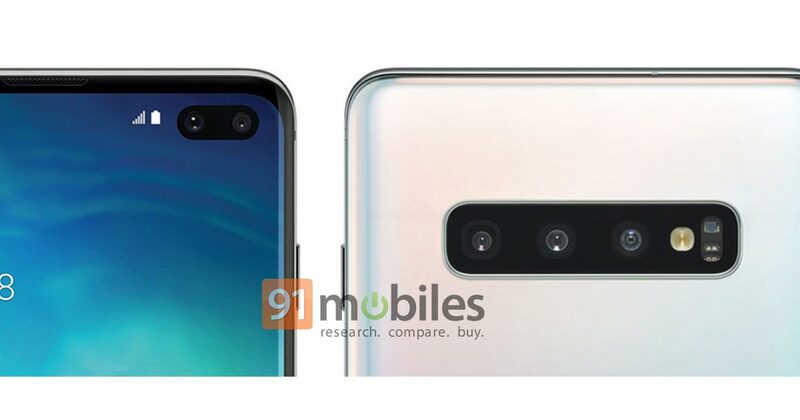 Now ahead of the official launch of these handsets, 91mobiles has managed to ascertain key details about the Indian launch of the Galaxy S10 series from a Samsung distributor. Our source has revealed that the chaebol will launch the Galaxy S10e, Galaxy S10 and Galaxy S10+ in India on March 6th. The smartphones will go on sale starting March 15th in the country. We were able to verify this independently as well. As for the pricing, the Galaxy S10e is tipped to start from Rs 50,000, while the Galaxy S10’s base model will cost around Rs 65,000. The S10+’s starting price is said to be Rs 75,000. The source also mentioned that the price difference between different variants of the same device in the series will be around Rs 4,000. This means that the rumoured top-end variant of the Galaxy S10+ should be priced less than Rs 1,00,000. Our source however, couldn’t confirm the exact variants and colour options of the S10 series that will be coming to the country. Our sources confirmed that the rumours about the high-end Galaxy S10+ coming with 12GB RAM are indeed correct. Expounding further, we got to know that the priciest S10+ model will support up to 1.5TB storage as it’ll come with as much as 1TB memory onboard, which can be topped up further with the use of a 512GB microSD card. The 5G variant of the S10 is also expected to come to India, though we’re skeptical about this since commercial availability of 5G networks in the subcontinent isn’t likely to happen anytime soon. To recap on the rumoured spec sheet, the smartphone is tipped to be powered by either the Qualcomm Snapdragon 855 processor or the latest Exynos 9820 SoC. In the Indian market, the flagship will come with the latter. The smartphone is expected to be the first from the brand to feature five cameras (three on the rear and two on the front). A recent exclusive leak has revealed that the Galaxy S10+ will have an Infinity-O display, Ultrasonic in-display fingerprint sensor, and the latest One UI based on Android Pie. Other expected features of the flagship lineup include Wi-Fi 6 and 9W reverse wireless charging. We will have more details in the coming days.